Jollibee makes regular fast-food joints look like nothing more than glorified burger shacks, thanks to a menu full of spam sliders, sweet pork & rice for breakfast, and the perfectly named Chickenjoy. The wildly popular Filipino chain has expanded to more than 800 restaurants across 10 countries (including 29 in the US) by mixing Filipino comforts, American fast-food trends, and a hearty dose of cartoon marketing. The savvy combination has won the hearts and stomachs of Southeast Asian consumers and created a cult following stateside. To satiate those who've not yet had the privilege of biting into a tuna pie, let us show you how Jollibee became the most inventive fast-food spot in the country. In 1975, the founder ditched a career in chemical engineering to open a pair of ice cream shops that quickly branched out into savory foods. When word spread of the impending arrival of McDonald's, he flew to the US, studied Ronald's methods, and returned home to implement Mickey D's practices of colorful mascots and cheap burgers. 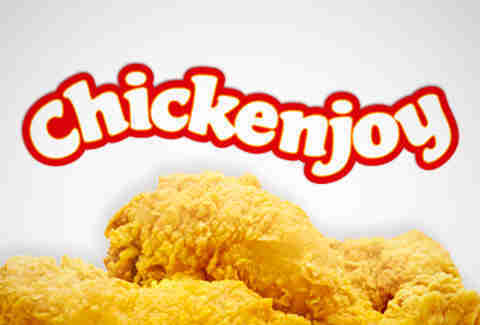 The head-start gave Jollibee the momentum it needed to ward off the advance of the golden arches, and hold the title of the country's most popular fast-food chain. 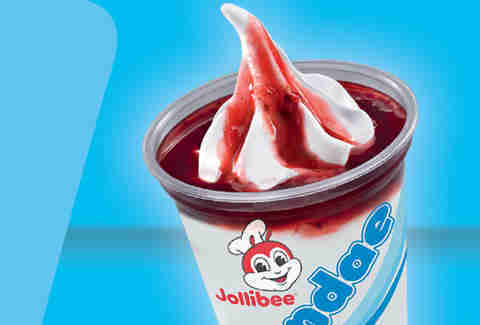 The list of Jollibee acquisitions is long and often hard to pronounce (for native English speakers). Greenwich Pizza, Delifrance, Chowking, Lao Dong, Yonghe Dawang, Jinja Bar & Bistro, Red Ribbon, Mang Inasal, and even the Philippines Burger King franchises all serve the queen bee. 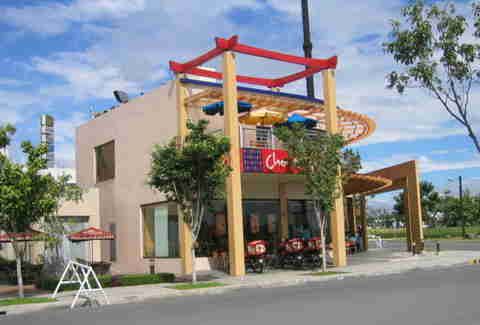 Between all of the conglomerated brands, Jollibee operates over 2,000 restaurants. Their main man is Jollibee, a dancing insect in a blazer who sports an extremely jolly attitude and surprisingly salacious dance moves. Much like Ronald, he's got a crew of friends that represent the company values, from the discontinued Champ (a symbol of burgers and... boxing) to Twirlie, who holds down the singing/dancing/dessert arena. Their day-to-day adventures are chronicled in a TV series called Jollitown, which is currently in its sixth season. Fried chicken! Burgers! Spaghetti! Asian noodles! STEAK! They are the Captain Planet of fast food. Where else can you find Spam served with a side of tomato, egg, and rice? 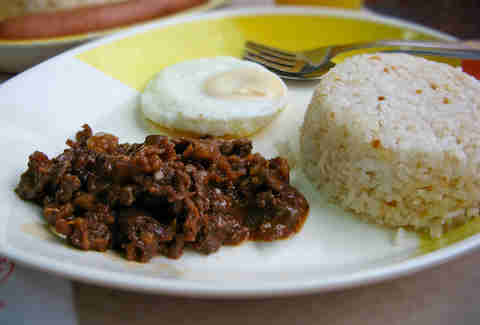 It's like an English Breakfast that's gone on vacation to Maui with a short layover in the Philippines. And if you're not into the iconic canned meat, they've also got corned beef, hot dog-esque sausage, and beef tenders. 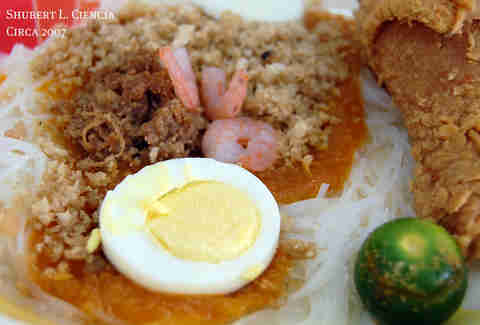 Side of fried chicken with those pork/shrimp fiesta noodles? No problem! Ordering off their menu is the fast-food equivalent of building a leftover medley. 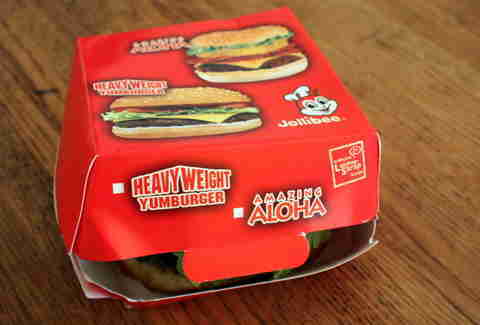 Boldly going where no American chain has gone before, the Amazing Aloha Burger is topped with both bacon and pineapple. It's like a crazy foreign fast-food item that somehow snuck onto American soil. 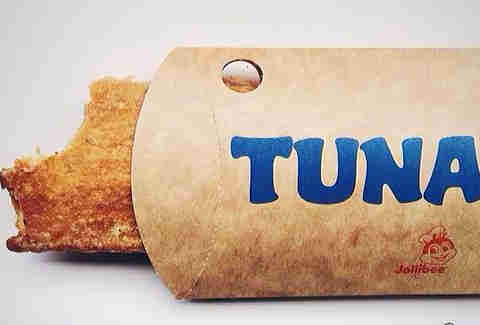 Aside from Subway's mayo-heavy tuna, most fast-food joints shy away from the chicken of the sea. 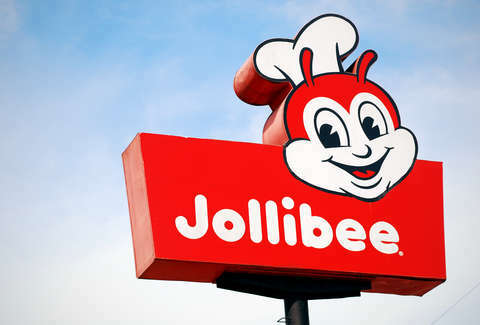 But Jollibee's embraces the other white fish, then deep-fries it in a savory pastry shell, making for one of the strangest menu items in the entire canon of fast food. It also has a huge cult following, as it's only on the menu for a limited time each year. There's plenty more foreign fast-food items in their repertoire that they haven't yet unleashed on the American public. 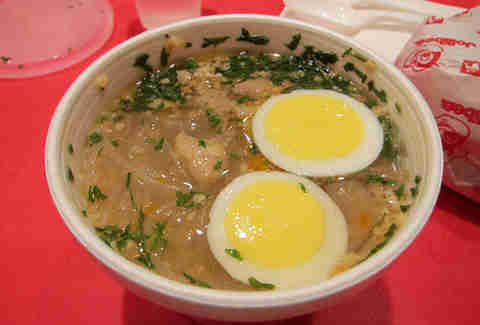 Chicken Sotanghon soup, mushroom/chicken noodles, crispy pork-steak, garlic bangus (milkfish), and macaroni soup are all international items that might someday make their way into domestic stomachs. Until then, you'll just have to settle for a tuna pie. Dan Gentile is a staff writer on Thrillist's national food and drink team and is eagerly awaiting the arrival of garlic bangus. Follow him to more jolly fast-food observations at @Dannosphere.